Canadian Natural Resources (CNRL) announced a 2017 capital budget of approximately $3.89 billion this week, a small increase from the current year. The final phase of expansion at Horizon is expected to wind down at the end of next year, leaving more cash on hand to spend on Exploration and Production at its existing oil and gas operations. CNRL plans to spend about $1.7 billion at Horizon next year, down substantially from $2.7 billion spent in 2016. The final phase of expansion (Phase 3) is expected to be completed at the end of 2017, adding another 80,000 bbl/day of capacity to the mine and upgrading facility. A 24 day turnaround is being planned next year to tie in Phase 3 facilities. The company thinks it can add another 5,000 to 15,000 bbl/day of production by debottlenecking its fractionation tower. The project would cost about $70 million dollars but requires an extra 21 day shutdown, adding an estimated $90 million to the final price tag. A final investment decision is not expected until the second quarter. Production out of Horizon is expected to average 170,000 to 184,000 bbl/day in 2017, a 44% increase from the current year. Most of that increase comes from the Phase 2 expansion, which came online in October. Operating costs are expected to average between $26 and $29 a barrel next year. Once Phase 3 is completed, nameplate capacity at Horizon increases to 250,000 bbl/day, bringing operating costs below $25/bbl. The Horizon mine and upgrader produces light, sweet synthetic crude, which sells at a premium to diluted bitumen. The company recently gave the green light to restart engineering on its Kirby North SAGD facility. 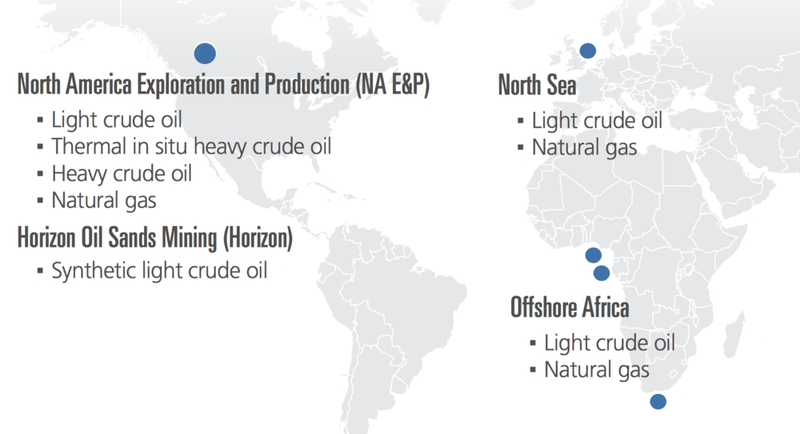 First oil is expected in the first quarter of 2020. Facility design will be very similar to Kirby South, with a nameplate capacity of 40,000 bbl/day. Kirby South currently produces about 38,000 bbl/day. Higher output from Horizon will boost the company's total output to 833,000 to 883,000 boe/day, a 6% increase from 2016. CNRL also notes it has significant flexibility in its capital spend and stands ready to cut up to $900 million from its 2017 budget if financial conditions deteriorate.